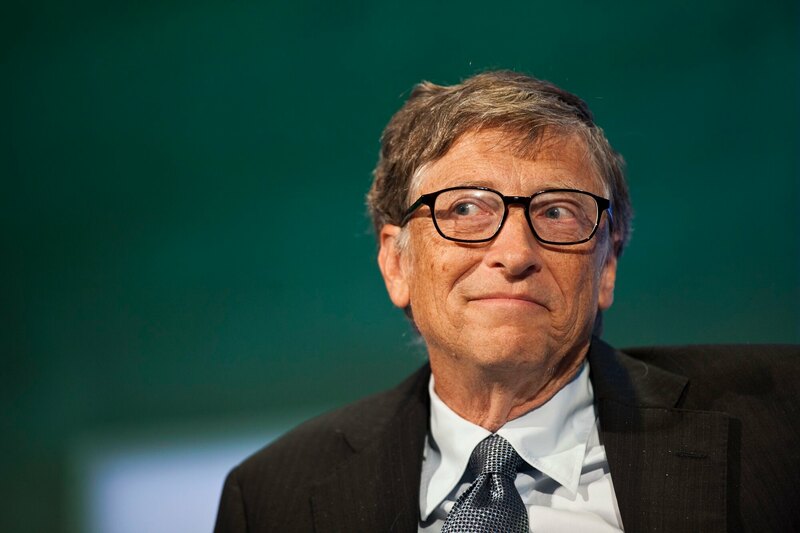 Microsoft’s co-founder, Bill Gates made a shocking revelation recently in an interview today. After all, it isn’t every day that he says he uses Android. The billionaire said he had ditched Windows and finally embraced Android. In an interview with Fox News, he said he still has “a lot of Microsoft software,” but he didn’t say which Android phone he was using currently. Gates could be heard revealing in the interview that even though he uses quite a lot of Microsoft’s software, yet he has of late started liking the Android OS and so is using an Android phone of late. Regardless of the revelation, speculations are still making rounds as for which phone the billionaire is using. While these speculations are not over, we have come up with a fact check to find out why Gates has chosen to ditch his own Windows phone and embraced an Android one. This article will let you know where Microsoft, the tech giant had done wrong with their Windows phone. Before we dig deep into the topic , why not have a quick look at the pros and cons of the Windows phone. Simple User Interface: The Windows phone has a very sleek, modern interface that are differently organised. Once an user gets habituated with the interface, it becomes quite easier and faster to use. Stability: Unlike Android phones, these phones rarely give you the experience of frequent call drops and app crash. Battery: battery life of Windows phones is good enough than the Android ones. 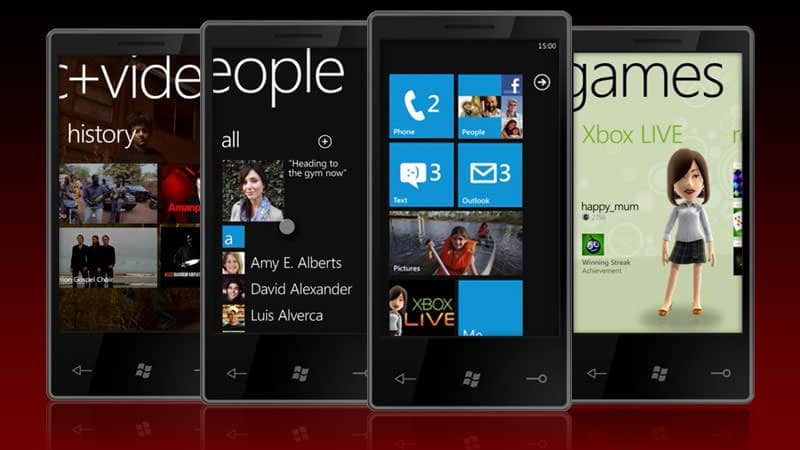 Customizable Home Screen: The home screen of Windows phone is personalizable and can be modified as you like. The color schemes are also changeable. Parental controls: Windows phone have the perfect parental control feature by which you can restricts your child phone usage and downloads. 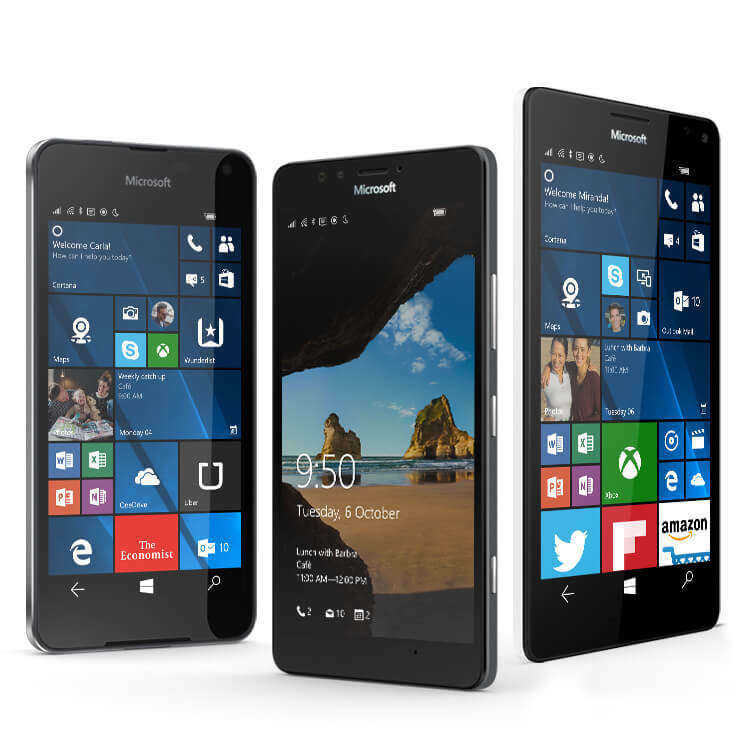 Even after having such great features, Windows phones are not devoid of any disadvantages. The main cons of the Windows phone can be listed as belows. Apps: There are fewer apps for Windows phone as compared to Android phones. Besides being lesser in number, the Windows apps have very negligible app support. Moisture: Windows phone gets spoiled quickly in moisture. No file manager: In Windows phone, it is not possible to view any files without proper app. Things for which Windows phone failed to grab the market. In 2017, Microsoft had made the official announcement that the Windows Phone mobile operating system is dead and there will be no further development of the OS. This has put an end to the 7 year long roller coaster ride of Microsoft’s thwarted mobile operating system. However, even then it could not be denied that Windows phone was the most boldest and refreshingly reimagination of what a smartphone can be after Apple’s introduction of iphone 3 years prior. Windows phone , unlike Android is not a plagiarized version of iOS grid icon. The introduction of Windows Phone by Microsoft had quickly grabbed the attention of tech enthusiasts across the globe. The chromeless and distilled interface of Windows Phone offered tiles with live information on them. All these features that Windows phone had endorsed was promising enough for rightfully calling it a closed-shop, walled-garden software production. Several unique and iconic smartphones were introduced on the Windows phone ecosystem. Samsung Omnia 7, Lumia 800, HTC 7 Surround to name a few. Also Read: Akamai Netsession Client Interface: What it is and Why is it running? Nevertheless of having such a glorious legacy, Windows Phone failed to stand the competition against the duopoly of Android and iOS. Below listed are some of the facts that contributed towards the failure of what otherwise could have been a iconic mobile operating system and third viable smartphone ecosystem. One of the key reason for the failure of the Windows phone lies on the platform’s failure to attract third party app developers. Perhaps the biggest missing app in Windows phone was Youtube. You could guess well here that youtube is owned by Google who also owns the Android OS. For obvious reasons Google doesn’t want to give Microsoft the chance to become Android rival by having Youtube in their phones. Microsoft’s Windows Phone was competing with Google’s Android ,which with the power of Google and Samsung along with the whole open source community was way ahead in the global smartphone market share. The acquisition of Nokia by Microsoft had distracted the later’s vision. While Nokia was keen in introducing low priced Windows phone to the market, Microsoft had Apple in their sight. Microsoft could have saved itself many headaches by buying Nokia much earlier and setting a single, unified strategy for where Windows Phone was going to go. With the legacy and resources that Microsoft possesses it could have taken the Windows phone to a level where it may have been considered as an alternative of Android. But the attempt of building a third smartphone ecosystem was cut short until recently the tech giant had to peg down to the cut throat competition that it was getting from Apple and Google. Even though Windows was functionally better in some aspects than Android, it could not beat the growing demand of the Android phones. With several smartphone manufacturer preferring Android OS, the popularity of Windows phone start diminishing that ultimately called its shut down! 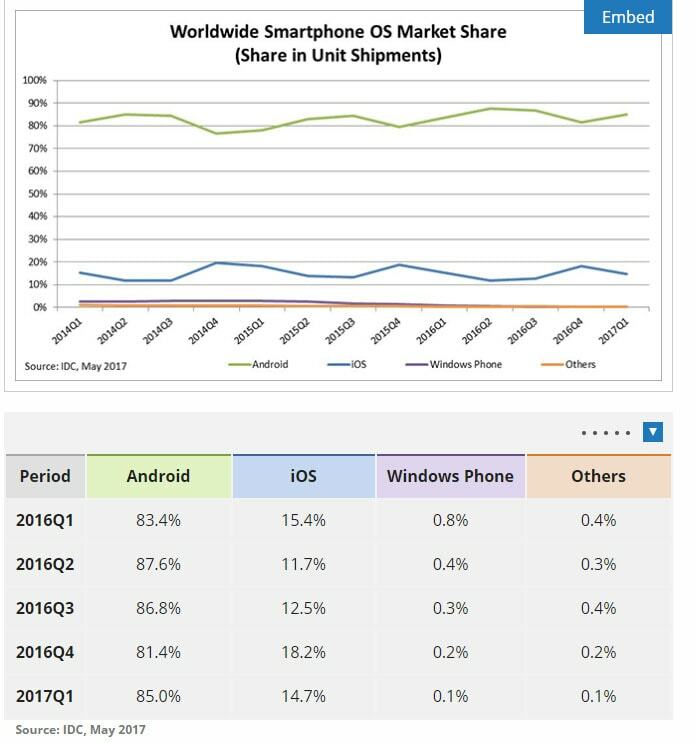 Windows phone had a miniscule market share of 0.1% as compared to 85% of Android and 14.7% of iOS across the globe in the smartphone sector. The lack of power and sophistication of Windows phone had shut the doors for Microsoft’s Windows phone which didn’t go well even with Microsoft’s last-ditch attempt to revive Windows phone by acquiring Nokia and following a Apple-styled integrated software-hardware business model. This attempt however backfired Microsoft so much that Ex. CEO, Steve Ballmer went on calling the acquisition a complete blunder and mistake which eventually slowed down Microsoft’s smartphone business. On the contrary, Apple’s iOS and Google’s Android OS were moving too fast and revolutionizing the smartphone and the world in general. Google’s Android took the smartphone to the masses, leaving very little space for Windows phone in the smartphone vertical. Microsoft Surface: Microsoft Surface is a series of touch-screen Windows PC and interactive whiteboard designed and developed by Microsoft. The mention of these two technologies by Satya Nadella has hinted that Microsoft is planning to introduce a device that could transform from a phone to laptop or PC. This being said, it must be mentioned that Microsoft must work a lot to improve Continuum and get desktop apps into the Windows Store before Nadella’s hints at phone hardware are truly realized. Even though Windows Phone has been discontinued, and Microsoft has not launched any Windows phone for more than a year, CEO Nadella’s hint that the company is planning to restructuring its smartphone business with some robust strategy to combat the two market leaders i.e Android and iOS. The present CEO of Microsoft, Satya Nadella endorses a different vision for the company that is oppugnant to his predecessor and hence it will be quite interesting to observe what move the tech giant takes to get its share in the beguiling smartphone market. Meanwhile, as mentioned in the earlier part of this article about Bill Gates new found fondness for Android phones, a lot of guesses are being made to know which Android phone the billionaire is using. While some has suggested that it might be Pixel, others came up with the guess of Samsung, as it is the biggest selling Android phone in US. Well, these are just educated guesses and cannot be considered ultimate until Gates himself reveals his favorite Android phone one day.